Ah, the Wallander series, where ace Swedish detective Kurt Wallander (Kenneth Branagh) relentlessly picks at the scab that is his life. 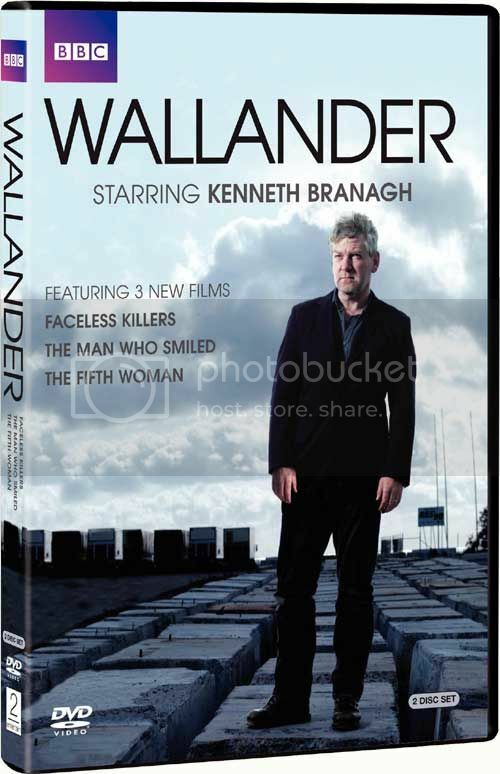 We can't help but think constantly to a description Kenneth Branagh gave of Wallander: the man's like an "open wound". And every episode features the same key scenes to show us just how psychologically wounded this teddy bear is: he sleeps only in awkward sitting positions (he broods himself to sleep, every. single. night. people! ), is always awoken by the harsh siren call of his detective colleagues, who then take him to see someone who was murdered in some horrible way (in this episode: with spikes! 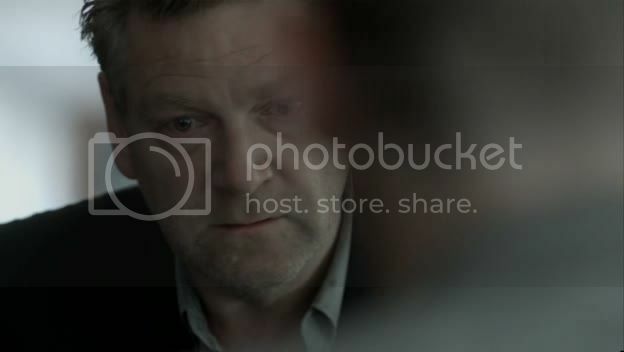 ), wherein Wallander becomes even more moody, irritable, depressed and fatalistic. Sweden is a sad place, apparently. In this third installment of Kurt's Angst, The Fifth Woman, Wallander is busy trying to figure out who killed the birdwatcher (with spikes!) while - on the personal side of things - his father, Povel (the excellent David Warner), deteriorates even further into frailty and old age. In fact, the entire episode is about aging parents, vulnerable adult children, and the ancient wounds we leave on each other. And, in its usual style, it tells us about these scars and hesitant catharses with moody shots of a sagging, exhausted Kenneth Branagh as he drives through the desaturated Swedish landscapes. The murder mystery turns out to be just a convenient thematic parallel for Kurt's familial turmoil, and on the personal side - well - Kurt finally cries in front of someone and lets himself be hugged (thank God). The genius of this show - the genius of Branagh's interpretation of Wallander - is, as we've mentioned before, his social awkwardness. 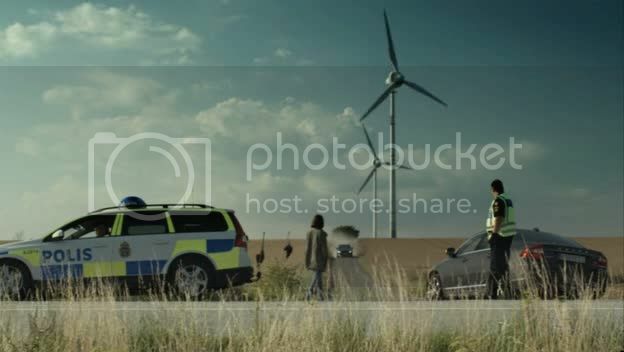 Because while watching Wallander churn silently in his own self-loathing is compelling (to a point), watching Wallander try to mask this is much more poignant. Of course, he fails every time as his tense explosions or brittle unhappiness are obvious and, well, really out there. But he tries to cover it up - and that's just sad. Also, is it just us, or does Wallander's sympathetic friend, Nyberg (Richard McCabe), solve every mystery only moments after seeing the corpse? "Oh yes, it was Colonel Mustard with the wrench. You can tell by that piece of lint there. Ta!" Meanwhile: Kenneth Branagh's performance. Ah, Kenneth Branagh. There's something unique about his style of acting: a combination of naturalism with theatrical vulnerability. It worked so well in Henry V. Heck, it worked really well in that reincarnation movie with Emma Thompson which was, btw, totally fun! In Wallander, his pain is obvious - and his attempts to smother it, or hide it, or beat his way through it, are likewise obvious. It's not necessarily subtle, though it is… calming? What's the word? There's a comfortably sympathetic quality to it. An earnestness. That's it! Kenneth Branagh is terribly, terribly earnest. And that's awfully nice. I liked that reincarnation film too. And suprisingly it stood up to a second viewing.